Home Career Do You Work In A Risky Environment? Either running or being employed in a company that handles physical risk is one of the most important career decisions you can make. Whilst these sectors can make you a lot of money when you stick at it, there’s a much bigger downside to them than working in an office environment or behind a counter day in and day out. And this means there’s some things you should always keep in mind about your own safety and other people’s; of course, you have health and safety regulations, but it’s always good to have your common sense about you at all times as well. 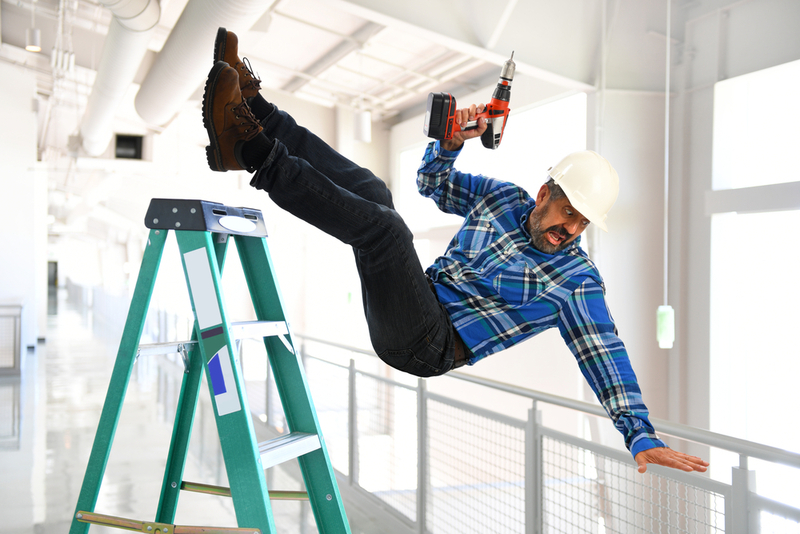 So, with that in mind, here’s a couple of tips for making sure your risky work environment carries considerably less risk for you, and hopefully, you can make your job a little bit easier. Maybe a little too cartoonesque, but slipping and tripping at work is very much a real hazard you need to look out for. If you know what’s expected of you, and what’s laid out in your contract because of that, you can actually have plenty of grounds to refuse to do something risky that your employer asks of you. If it’s something you’ve never had to do before, or something you know you don’t have the skill to carry out, make sure you bring this up with them. If they disagree with your worries, make sure you have the claim on your side to take the situation to law. If you’ve been working for them for long enough, usually a period of two years or so, they can never simply dismiss you for disobeying. You have full rights in your employment by that point, and you’ve had plenty of time to know the ins and outs of the company as well; use these to your advantage. Suggest someone else for the job or declare your intentions to take them to a tribunal. When you’re working in a high-risk environment, you need to constantly have your wits about you. And that means you need to start the day off with your work mindset when you’re at home, by thinking about what work requires of you and how to keep yourself safe with your outfit for the day. It might seem a small point, but it’s far more important than most people give it credit for: you think about how professional your clothes look in an office, so always have something suitable for a risk site. Pack your wardrobe out with easy options you don’t have to think about too much. If you’re working outside on a hot day, you want something light and able to catch a breeze. If it’s cold, you’re going to want to wrap up with something like an fr outlet sweatshirt: these shirts also work for people working near open flames and fires, so they’re multipurpose. Working in a risky environment takes good sense, don’t make some easy mistakes.